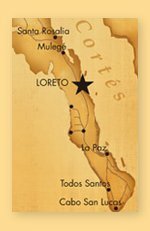 Great news for the Loreto, Baja California Sur community and the tourism industry here. According to Radar Politico, Aeromexico has announced it is expanding air service to Loreto. The new flights will run Thursday and Sunday with service including Loreto, Mexico City, Culiacan and Los Angeles. Service for the new routes begins March 22, 2013. 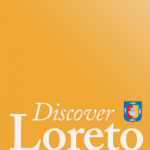 Furthermore, Covarrubias referred to the importance of realize this until Loreto, for this destination has been a constant concern of the State Government to bring more air connectivity and tourism promotion since the beginning of the administration, “which we are achieving with the support Aeromexico, entrepreneurs and Fonatur and strong support from the Ministry of Tourism and federal government,” he said. Nothing like some air lift to lift our spirits!